(2005 Book). 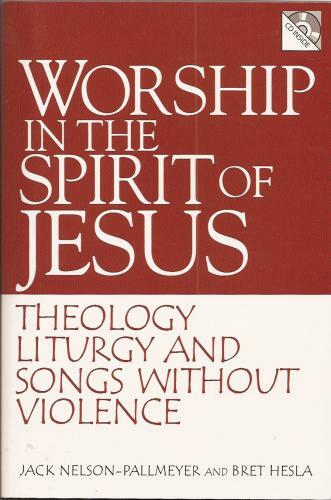 Worship in the Spirit of Jesus: Theology, liturgy and songs without violence, by Jack Nelson-Pallmeyer and Bret Hesla. Essays, songs, and liturgies that challenge the violence embedded in core of most Christian liturgies and hymns, and then imagine and invite songs and services that embody nonviolence. (Hard copy book: price includes shipping. Browse contents (songs only) below.